Get away from the sea and drive around the island of Aruba. Aruba Activities, Aruba Car Rentals, Aruba Culture, Aruba Resorts, Aruba Restaurants, Aruba Tourism. Amigo Car Rental's main office is located minutes from the main hotels and they now have a second location at the Aruba airport. Choose between the popular Toyota Tercel or the VW Polo. For larger groups or families, the Toyota Previa 7-seater is an ideal way to enjoy Aruba in spacious, air-conditioned comfort. If you're looking for that extra comfort when visiting Aruba, the VW Jetta or Toyota Camry will surely satisfy you. Econo Car Rental has an office at the Airport, at La Quinta Beach Resort and their head office is located at Schotlandstraat. Low rates, new cars and 4x4's in top quality condition, with fast and friendly service. You can take delivery at the airport or they'll gladly pick you up at your hotel and take you back at the end of your rental. From economy and luxury sedans to real Jeeps and vans. 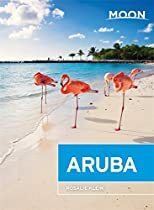 Aruba Travel Guides - Aruba Maps.